Enjoy your holidays on horseback! Spend your time eating, swimming, sunbathing and of course riding. We arrange you a complete package full of fun activities and good company which you can enjoy either alone, with a friend and family or even a group of your own. 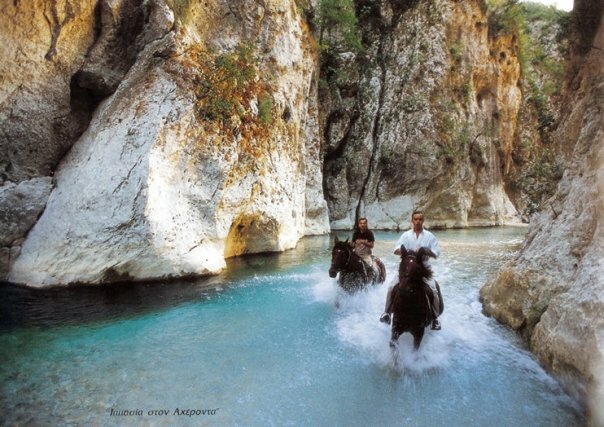 Pony Club’s farm is situated in a village called Glyki – near the beautiful and magical river of Acheron. With us you get to enjoy the laid back greek atmosphere with interesting activities. Long sand beaches and a vivid tourist destination Parga are also in your itinerary! Day 1. Arrival day. Transfer from the airport and arrival at the hotel. During the informative welcome dinner you get to meet your hosts and your riding team. Day 2. After breakfast we head to the farm to see the horses. 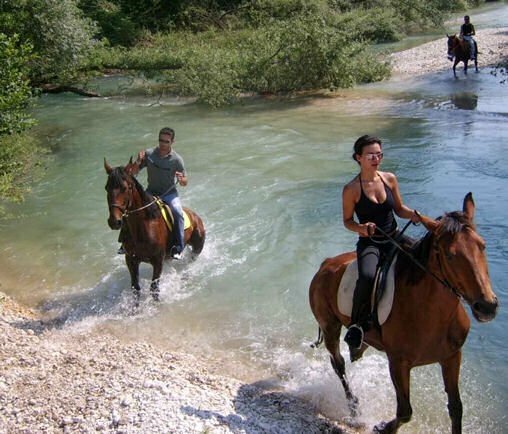 Once the horses are shared we take our first trail towards the Acheron river (2 h riding). After the trail riding we enjoy a light lunch at the hotel. 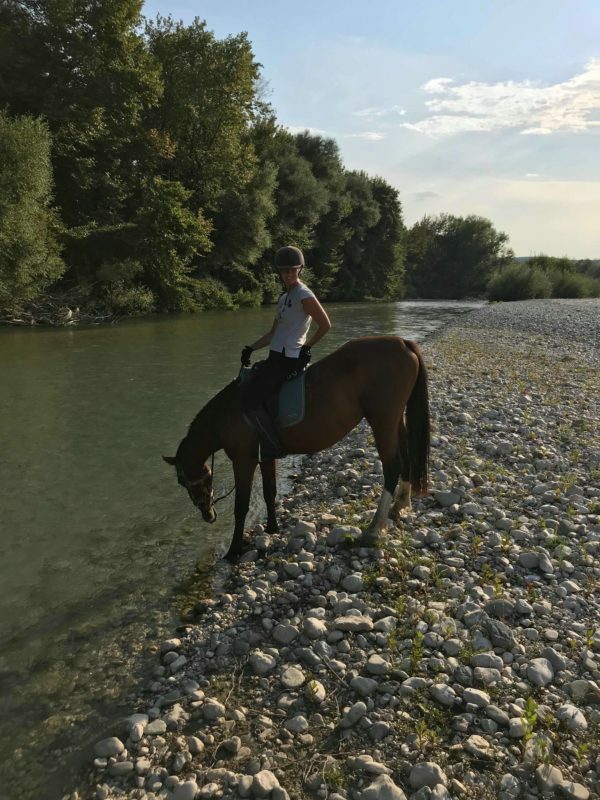 In the evening we explore together the protected spring area of the river. Day 3. In the morning we take our horses to a long trail and visit a picturesque byzantine monastery, where we enjoy a picnic-breakfast. The trail takes about 4 hours after which you can enjoy a light lunch at the hotel. In the evening you are free to try our any other activities at the river, such as trekking, kayaking, rafting, cycling etc. Day 4. 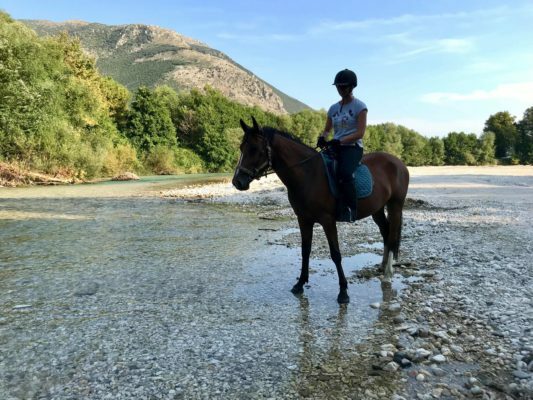 After breakfast at the hotel we take our horses for a trail to the springs of Acheron where we leave the horses to take a rest when we try kayaking together. After kayaking we enjoy lunch at a taverna by the river and afterwards return to the farm. Afternoon there is a possibility to go to Loutsa beach together with the group. Day 5. 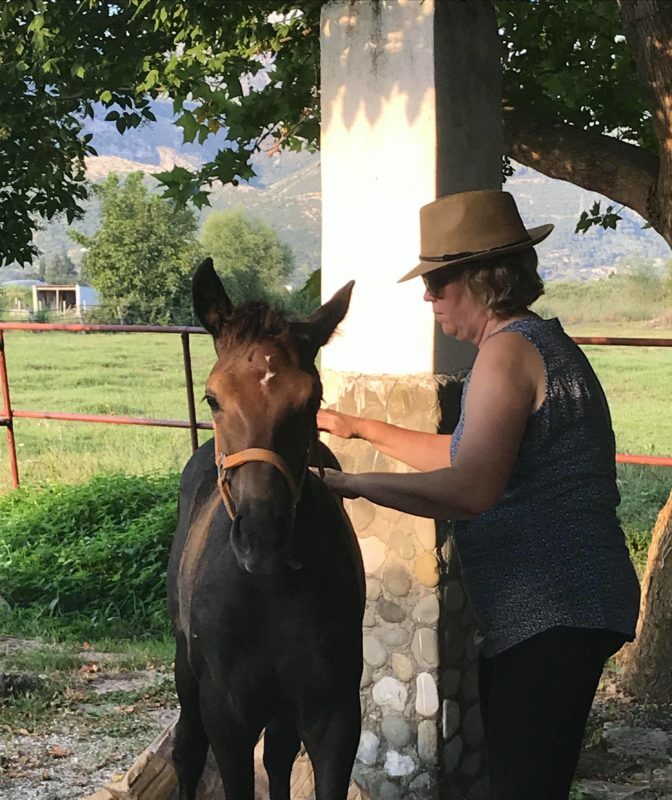 The horses have a free day so after taking care of them we visit the old Souli villages up at the mountains and enjoy a light lunch at a traditional cafeteria. In the evening there is a possibility to visit Parga (tourist town) with the group. Day 6. We take our horses for a mountain trail early in the morning. After 2-3 hours riding we eat picnic-breakfast and head back to the farm. In the evening you can learn how to cook traditional Greek dishes with the village ladies. Day 7. 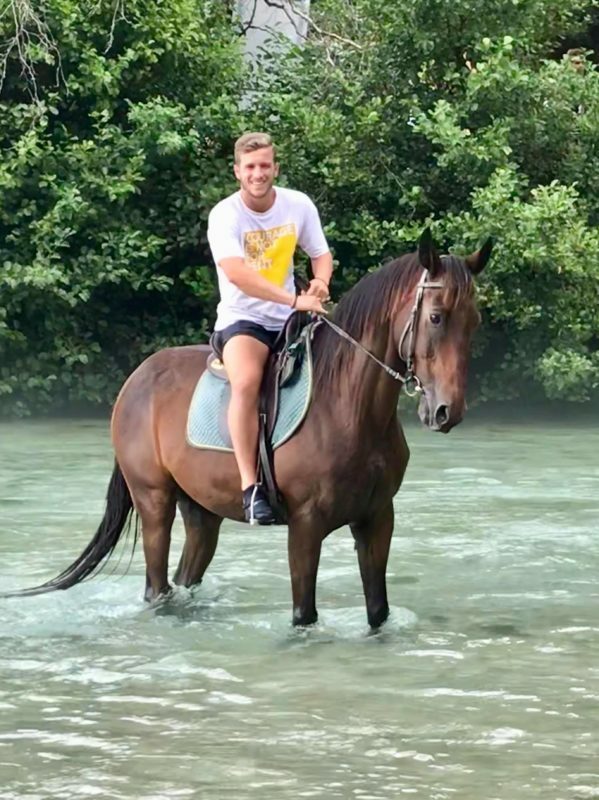 After the breakfast at the hotel we head to the river with our horses. This time we get to have fun in the water and even try swimming with our horses! Our photographer will come with us to take memorable pictures. After lunch there is a possibility to go the beach with the group or try other activities. You will stay in a double room with private shower / toilet. Single rooms can be booked for an additional charge. The hotel serves breakfast every morning and some of the lunches. The hotel is next to the river and has a cafeteria, bar and a restaurant. 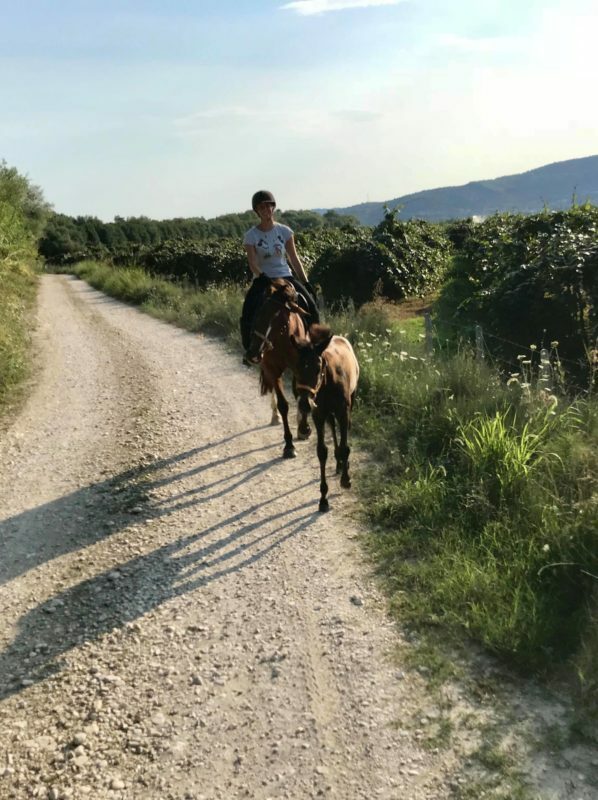 All the transportation required by the program is arranged by Pony Club. In addition, you can rent a bike from the hotel and most of the places and services are at walking distance.